On October 17, 2018, FTA issued a Dear Colleague letter to announce that the random drug testing rate for the public transportation industry will increase from 25% to 50%, effective January 1, 2019. The alcohol testing rate for 2019 will remain at 10%. FTA published a notice on October 17, 2018, in the Federal Register with responses to comments received on proposed changes and clarifications to the National Transit Database (NTD). Comments included the definition of capital responsibility and distinguishing between commuter and intercity services. The October edition of FTA’s Transit Safety and Oversight Spotlight newsletter is available. The issue lists many of their upcoming trainings and 24/7 on-demand trainings, such as Bus Nomenclature and an Instructor’s Course for Transit Trainers. See how transportation initiatives & funding measures fared in the midterms – without White House backing or federal support. The DOT’s grant program for new construction, called BUILD, tends to favor rural areas over cities, as transportation consultant and researcher Yonah Freemark noted on his blog. 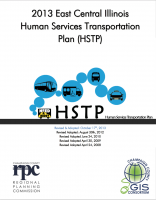 TCRP’s ADA Paratransit Service Models provides information about current ADA compliant paratransit service models and reasons why specific transit agencies have opted to keep or change their service model.